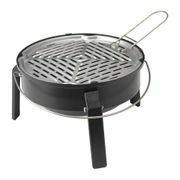 Ikea sale information, discount code and recent bargains. Posted and verified by our community of bargain hunters. £1.50 Cooked Breakfast at IKEA! Veggie Hot Dogs in IKEA Bistro for 50p! IKEA is an international Swedish company founded by Ingvar Kamprad in 1943. The company designs and sells ready-to-assemble furniture, kitchen appliances as well as home accessories. Since 2008, it has been tagged as the world’s biggest retailer of furniture. The name IKEA was derived from the founder’s name (IK) and the place where he grew up, Elmatryd and Agunyard (EA). The company is best known for its various modernist designs for appliances and furniture, and its interior design work is sometimes associated with an eco-friendly simplicity. The company’s story began as a mail-order sales business and five years on its operation, started to sell furniture. Its first Möbel-IKÉA store was opened in1958 and currently they have more than 400 stores around the world in countries such as the UK, Australia, France, Singapore, Netherlands, Italy, China, Russia and Saudi Arabia. Today all their stores (except the IKEA Delft store in the Netherlands, which is owned by Inter IKEA Systems B.V.) operate under franchise agreements. Inter IKEA Systems B.V. is the owner of the IKEA Concept and the company's worldwide franchisor. Their shared vision is their greatest motivator, and that is to create a better everyday life for the many people. Their culture and values shape everything they do. From forests, to sawmills, to production factories, their standpoint is always to do good business with common sense, based on honesty, respect, fairness and integrity. 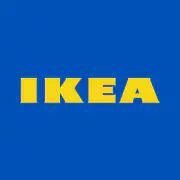 Find the best and hottest IKEA sales, discounts, offers, voucher codes and coupon codes only here at Latest Deals! Each month our massive community of bargain hunters are on the lookout for the latest offers to post and share to our members! If you look around, you’ll find that life is full of little victories, simple pleasures and spontaneous moments that make everyday more wonderful. So why do we wait for special occasions to have big celebrations? In this installment of the Wonderful Everyday campaign, they see the magic of celebration unfold as a family comes together to go big on the small things and say Hooray! To the Wonderful Everyday. The IKEA Concept starts with the idea of providing a range of home furnishing products that are affordable to the many people, not just the few. They achieved this by combining function, quality, design and value - always with sustainability in mind. Their business idea is “to offer a wide range of well-designed, functional home furnishing products at prices so low that as many people as possible will be able to afford them”. Every year they renew their range, launching approximately 2,500 new products, designed by their in-house and contracted designers. The foundation of all their product development is the idea that even with a thin wallet people should still be able to create a beautiful home with functional, safe and healthy products. They also believe in choosing materials responsibly, and they aim for renewable, recycled or recyclable resources whenever possible. To get a quick answer from their Customer Support Centre, you can start a conversation on their Webchat app. You can also find answer to common questions and enquiries on their FAQ page. You can email them using their Online Contact Form. 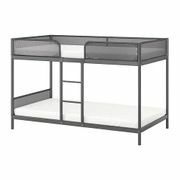 What are the delivery options for Ikea? Delivery Time: Monday to Friday between 7am and 6pm. Parcel deliveries are calculated when purchasing smaller items up to 25kg or multiple items with a total order weight of 100kg. Truck two man deliveries are made for larger items over the 25kg parcel rule and any product that we deem unsuitable for parcel delivery. With truck deliveries you will be allocated a four hour time slot which will be sent to you via text message 48 hours prior to the delivery. You will receive a one hour pre-call for truck deliveries. They aim to deliver your order within 14 days, depending on stock availability and where you live. If you are ordering online, the estimated delivery date is the earliest date they can deliver as the items come from their distribution centre. If you visit a store, their home delivery service may be able to offer you next day delivery. For more information, read their Dispatch and Delivery FAQ. 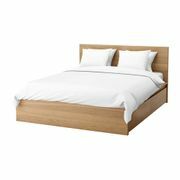 How do I return an item to Ikea? You can return your order within 365 days if you are not satisfied. A full refund will be given to you via the same method as your original payment as long as the products are returned with proof of purchase, in new and unused condition and, if possible, the packaging. You can return any product, even if you assembled it, as long as it's in re-saleable condition. Unless faulty, they may refuse the return or offer an exchange or gift card only if the returns criteria are not fully met. You can also take your items back to any of their store within the UK, alternatively you may arrange collection of your online purchase by contacting them first. Give shape and substance to your dreams with their online Planning Tools. Plan your dream kitchen, your perfect office or your wardrobe storage system before making any financial commitments. You can play with colours, styles, sizes and configurations to plan your way to perfection with their easy to use planning tools. View it in 3D, try as many designs as you like and get a detailed product list. Then save it or print your plan and visit your local IKEA store or call them to find out how you can turn your plan into action. Not everyone is lucky enough to live by one of their big stores, so they're trying something new... they're called IKEA Order & Collection Points. In many ways they're just like the stores you know and love, but a bit smaller.